Securing funding from a venture capital fund can be the boost many startups on the edge of success need. On the other hand, finding the right VC to go into business with is more tricky than many founders may think – because it’s crucial to find investors who fit you your personal and professional vision, mission, and goals, and that can offer you exactly what you are looking for. Here we have listed 10 European VCs with a focus on B2C startups in order to give you a bit of a starting point of where to find the right one(s) for you. We hope you enjoy the list, and we wish you happy funding! Kinnevik – This 80-year old Swedish entrepreneurial investment group that focuses mostly on B2C startups is known as one of the most successful in Europe and is one of the biggest investors in the fashion online store, Zalando, as well as Millicom and Tele2. Kinnevik believes in delivering both shareholder and social value by building and investing in companies that contribute positively to society. Kinnevik’s most recent investments include leading a $150 million round in the travel tech startup Omio (formerly GoEuro) last October, as well as a €38 million round in Barcelona-based business travel startup TravelPerk, and a €4.8 million round in the Stockholm-based last-mile delivery startup BudBee just last week. The firm was founded in 1936 by the Stenbeck, Klingspor and von Horn families, has made investments in companies in over 80 countries, and possesses a net asset value of over €6.7 billion. Balderton Capital – Europe’s leading early-stage venture capital investor, focused exclusively on European founded tech companies. Balderton invests in companies with the potential to disrupt huge industries, and the ambition to scale globally. Companies ranging from MySQL to Betfair, and The Hut Group to Yoox Net-a-Porter are all on their track record. Over 19 years, the VC has raised seven funds totalling $2.7 billion. Recent B2C investments by Balderton include Stockholm-based e-scooter startup VOI, Paris-based digital car rental startup Virtuo, and Munich-based digital health app Kaia Health. Lakestar – One of Europe’s leading VCs that operates in early and growth-stage ventures by partnering with entrepreneurs worldwide, focusing on internet and tech companies, striving to expand globally in within a short period of time. Founded by Klaus Hommels, Lakestar has invested in many startups that define today’s digital economy, including Facebook, Spotify, and Skype, and more recently Opendoor, Omio, FiveAI and Revolut. The VC firm has a presence in Zurich, Berlin, London, the US and Asia. Index Ventures – A multi-stage international VC firm with offices in San Francisco and London, Index Ventures backs the best and most ambitious entrepreneurs from across the globe. Focusing on founders that are building transformative startups and that are reshaping the world, the VC has invested in Dropbox, Etsy, SoundCloud, King, BlaBlaCar, Squarespace, Just Eat, Nasty Gal and many others. Index claims to be built on a sturdy foundation of a tight-knit collaborative partnership, with a mission of putting entrepreneurs first. The firm has teamed up with entrepreneurs in over 40 countries around the world and has helped them to expand into new regions. Creandum – This prominent Stockholm-based fund is “Backing the companies of tomorrow”, investing in innovative and fast-growing early-stage tech companies. Founded in 2003, Creandum has invested in 77 startups so far, with names such as Spotify, Klarna, Voi, Tide in its portfolio, and most recently participated in a €27 million round for the Berlin-based tax declaration app TaxFix. Creandum has €431 million in assets under management, and typically invests between €200k and €8 million per deal. Octopus Ventures – With offices in London and New York, Octopus is a multi-stage european venture capital investor, backing talented teams with the potential to build big businesses. Octopus is looking to discover the next generation of pioneering entrepreneurs, with a focus on the areas of industry, money and health. The firms latest fund size is €83 million, and it has €1.3 billion in assets under management. Its typical initial investment is between £1 million for seed rounds to around £5 million for Series A. Investments in B2C startups include Secret Escapes, The Plum Guide, By Miles, and most recently participated in a €37.5 million Series B round for the London-bsed femtech startup Elvie. HV Holtzbrinck Ventures – Founded in 2000 as a corporate venture arm of the Holtzbrinck Publishing Group, in 2010 HV Holtzbrinck Ventures became an independent venture firm, raising funds from a strong network of international institutional investors. Today, with more than €1 billion under management, the firm is one of the largest and most experienced independent European early-stage venture funds. For nearly 20 years, HV has believed and invested in disrupted startups in the digital sector. Over 165 startups have been advised, managed or funded by the firm, including successes like Zalando, Delivery Hero, HelloFresh, Flixbus, SumUp, Scalable Capital and many others. Holtzbrinck focuses on European startups dedicated to developing into large and sustainable companies, with investments between €.5 – €50 million. Acton Capital Partners – This German late-stage VC firm invests in digital startups with a broad customer target. Both B2B and B2C startups are of high interest, yet Acton seeks startups that are already generating revenue, and live and breathe a sustainable business model from the very beginning. Acton does not see themself as a momentum investor, but interested in existing substance. One of Acton’s most recent investments was in Munich-based Cluno, a digital car subsciption service, which raised 25 million Series B in February. Northzone – A Swedish early-stage venture capital firm focused on tech companies since 1996. 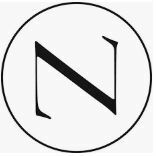 With four offices in Europe, Northzone’s focus lies in disruptive companies in attractive market sectors. The VC has so far invested in over 130 startups, injecting capital, knowledge, and many years of operational and investment experience into businesses that truly make a difference. Notable investments include Spotify, Trustpilot, Klarna, TIER Mobility, iZettle, Kahoot! and Wallapop. Northzone most recently invested in Copenhagen-based customer review platform TrustPilot in a €48.5 million Series E round. 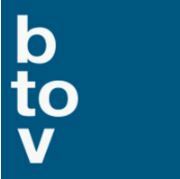 btov – Founded in 2000, originally as a platform called “BrainsToVentures”, btov currently manages €420 million in assets, and recently closed an €80 million fund for industrial technologies, focusing on European startups that develop innovative software and hardware for industrial applications, including robotics and autonomous agents, IIoT, cyberphysical security, electronics and photonics, power generation and storage, as well as medical and quantum technologies. Btov typically makes investments of between €.25 and €10 million, with European B2C portfolio companies including Blacklane, Outfittery, Urban Sports Club, and Raisin.